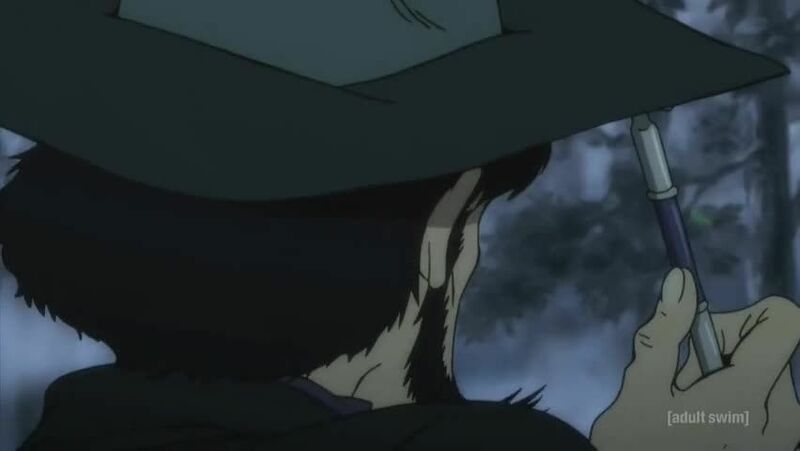 Watch full Lupin the Third Episode 22 English Dubbed streaming online. Lupin the Third Episode 22 English dub online for free in HD. Declarations of theft show up throughout the city, and they all bear the message “Tonight I’m going to get you,Lupin III,” with a lipstick mark underneath. The one who’s been distributing the notes is Rebecca. When she finds Lupin on the run after breaking into a bank, she does all she can to capture him… But why in the world does Rebecca want to steal Lupin?